Kodak Pixpro updated the stitching software for the Kodak SP360 4k Dual Pro. Previously, the stitching software enabled stitching of videos from a pair of SP360 cameras as a fully spherical 360 video in the standard equirectangular format. However, the included stitching software could not stitch photos. 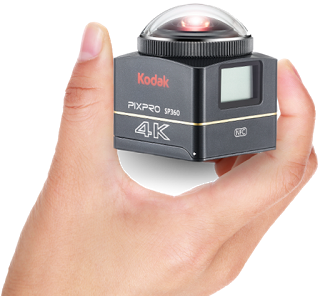 Kodak Pixpro now updated the software and added the ability to stitch fully spherical photos from the a pair of SP360 4k photos! Kodak Pixpro has been steadily improving the SP360 4k’s functionality. For example, it issues regular firmware updates. Recently, they also partnered with 3DRobotics to create a dual-camera bracket that allows you to capture aerial 360 videos without the drone in the shot (see here). Thanks to Markr041 from DPReview for this info!